Ever thought pain doesn’t make sense? Or ever wondered why it can become so persistent and problematic? The answers might not be what you expect. Check out this short video which is a good update on the latest pain research. It also gives some handy ideas on questions to ask your health professional about your pain. These are good questions to ask us and we love hearing them! They ensure you’re getting care which is focussed on helping you in the long term. Even though overcoming persistent or recurrent pain can be tough, it’s achievable, and we’re here to go the journey with you. Get in touch with one of our physios for more info. Have you ever seen someone tape an ankle and thought, wow, that looks like a work of art, I wish I could do that? Ever wondered whether to use ice or heat? Or what to do if you’re concerned someone has been concussed on the sporting field? If you’re involved in a sporting club and are looking to improve your skills in injury management, then come down and join us for LifeCare’s sports trainer seminar series. We run these seminars to up-skill sporting clubs on the ins and outs of injury management, taping techniques, criteria for return to play and concussion. And there’s plenty of time for questions which our highly experienced team of physios are more than happy to answer. We’re pleased to be able to offer this free of charge as a service to our sporting community. If you or the sports trainer at your club would like to come down and learn some new skills or practice old ones, we’d be happy to have you. Read on for the details below on how to register, or contact us for more details. See you soon! It’s still a bit of a sore point but most cricket fans recognise that Australia’s test series loss to India came largely because of the performance of one man: Cheteshwar Pujara. It’s also true that behind every great athlete is another great player: their physio. 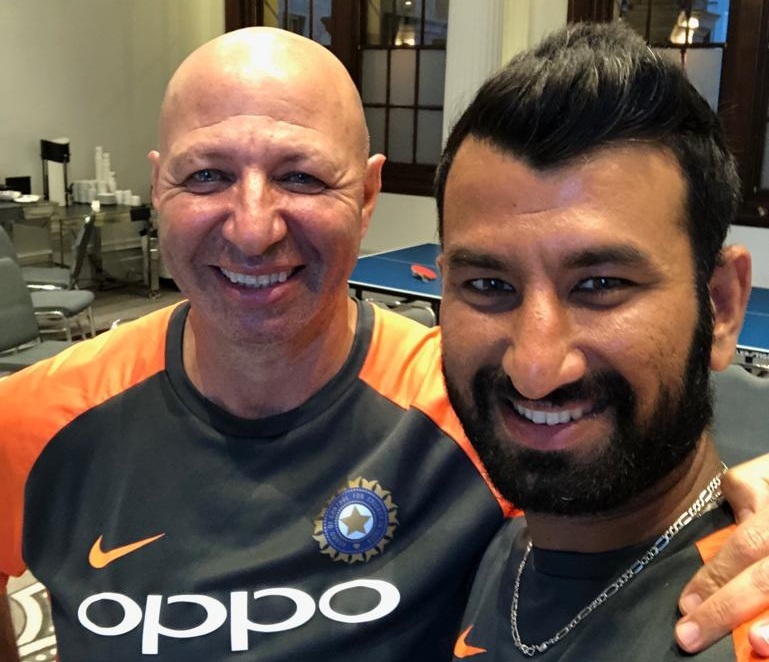 Pujara knows this, he publicly thanked his physio for all the work that went in to keeping him fit and healthy through the series. On first getting to the crease, a batter will scope out how the pitch is playing. They’ll notice where the cracks are, what the field is like, and how the bowlers are trying to target them. In the same way, the first phase of managing an injury is watching it closely. This involves being conscious about how the pain is behaving, trying to identify the things which make it better or worse and searching out things which impact the pain. A thorough physio assessment is like a good pitch report: it allows you to develop a good strategy for understanding what is going on and then moving forward to overcome it. Getting involved in rehab for a long term problem like a tendon issue or chronic low back pain may take time. Sometimes, at certain stages, this means giving yourself some little, targeted, rests. Not too much, or you never score any runs, but just now and then. It can be very helpful to prioritise your most important movements and activities. Your physio can give you a good sense of whether your recovery is on the right trajectory and encourage you to take on some things, leave others, and then gradually build up your activity over time. Often when recovering from injury, things feel slow, test match cricket often does. But when things are feeling slow and difficult, those who set themselves up for a good recovery are those who find ways to keep the scoreboard ticking over. In recovering from injury, this often means still keeping active in whatever ways you can. You may not be able to run, but can you swim? Cycle? Get on the elliptical trainer? Your physio can give you great ideas to keep moving and active even in the times when it’s hard to do what you would like to. Your physio has a lot of ideas here so feel free to pick their brains! If you would like help in setting up a plan to manage your condition, feel free to call us on 9364 4073 or book online. Tennis elbow is an umbrella term: it means different things for different people. Just like saying, ‘I play tennis’ means something quite different when I say it compared to when Roger Federer says it. Still, for most people tennis elbow means pain in the tendons on the outside of the elbow. What does tennis elbow have to do with tennis? 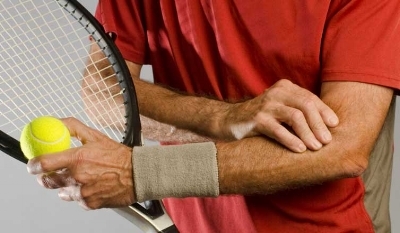 Tennis elbow can affect anyone who uses their elbow (that’s most of us). Because tennis asks a lot of the elbow in quick bursts, it can sometimes be the trigger for aggravating the tendons of the muscles of the forearm. Tendons attach muscle to bone. The tendons in tennis elbow attach the muscles of your forearm to the bone on the outside of your elbow (the humerus). What happens to the tendon in tennis elbow? The tendons of the muscles in your forearm can become stressed out by doing too much, too little, being compressed awkwardly or getting irritated at what’s going on around them. When they get stressed, the nerves around them pick up on this and send danger signals to your brain. Your brain weighs up these messages and gives you a pain response to bring your attention to the area. So the tendon is damaged? Sometimes, not always. When stressed out, tendons often get disorganised (like most of us!). The nervous system does too and this means that sometimes you can have quite a lot of pain, even when the tendon itself isn’t torn or damaged. Your physio can assess your elbow to determine whether your pain is a good reflection of the health of the tissue. There are several options for managing tennis elbow, and each needs to be matched to the person who’s experiencing it. The options involve exercises, manual therapy, advice for movement, taping, braces or treatment for other parts of the body that might be connected to the pain such as the shoulder or the neck. If the problem is with tennis itself, technique adjustments, grip changes or training programs can help to control the pain. We’d be happy to run a Q&A with your elbow right in front of us! Just call to make an appointment for an assessment with a physio on 9364 4073 or book online. Your physio is thinking about ‘Movie-Goers Knee’ (or patellofemoral pain syndrome) in terms of victims and culprits. The victim is the sore knee. But who is the culprit? Whodunnit? Patellofemoral pain syndrome is irritation of the kneecap as it slides along the front of the knee. There are four main culprits with patellofemoral pain syndrome and your physio will help you to work out which one (or which combination) is responsible. If a hip is weak or stiff, it can cause the kneecap to run in a compromised position. Your physio has some good tests to assess whether the primary problem is actually around the hip region, in which case exercises targeted at this area will be helpful in resolving the pain and getting you back to what you need to do. Some people’s foot position makes it hard for their knee to drive movement in a comfortable way. One step may be okay but with all the repetition of something like running, over time this can stress the knee out. Any foot issues can be addressed with exercises for the foot or with orthotics if necessary. Sometimes the culprit is the most obvious one: the knee itself. This might be the case if the kneecap is stiff or poorly controlled by the muscles around it. If the problem is stiffness, by releasing the structures around your kneecap, your physio can often make an improvement in your pain and then teach you how to do this at home yourself. If the problem is strength, good news… you’ll have some exercises to do! This is the sneakiest of all possible culprits because it can’t be seen or heard... The body is great at making adaptations to changes over time. It sometimes does struggle though with quick or intense changes and so knowing how much to do is as important as how to do it. Your physio can address the amount of load that you’re putting into the knee and give you good advice on how much to do in order to improve your pain. Often, patellofemoral pain can result from an interaction between these four (and other) factors. A thorough assessment is the best way to be able to weigh the contribution of each area up. This is the basis for a good management plan that will help you to get back to what you want to do, whether that’s watching movies or running marathons. To work out what’s causing your knee pain, call 9364 4073 or book online. Recovering... in the nick of time! Taking it easy in the early phase is number one. The important thing to remember though is that this does not mean opening a bag of chips and sitting down all day doing nothing. It is important to keep some healthy movement through the area in ways which promote blood flow, remove excess swelling and promote recovery. Depending on the area of the body that’s affected, your physio will be able to show you how to do this, and how often. Ice for 20 minutes every couple of hours is a good rule of thumb in the first 72 hours after taking a corky. Interestingly, icing more often than this regime doesn’t seem to give you much additional benefit as the body’s ever-adapting vascular system makes changes which prevent the ice from doing further cooling work through the muscle. Keep a tea-towel or something similar between the ice and the area to avoid it being unnecessarily painful and any complications from ‘ice-burn’ is wise. This is another way to keep the body’s inflammatory response (it’s healing response) at a healthy level. Swelling is not all bad - without it, you would find it very difficult to heal - but if we can keep swelling at a healthy level, the body part doesn’t become overly stiff and tight and new swelling can regularly flow in to replace the old. Your physio may decide to use tape or compression bandage to facilitate this for you. Where possible, spending some time with the body part above the level of the heart is helpful too. This might mean popping the leg up over the armrest of the couch or propped up on a few pillows in bed. Try coordinating this with your 20 minutes of ice for easy use. So there it is, that’s the mainstay of recovering from a corky. As you can see, your physio will point you in the right direction with individualising these strategies for your particular injury. This is especially important if you haven’t had an injury like this before or if you haven’t used any of these strategies like ice or compression. Your physio will also assess your injury to rule out any more significant injuries and give you the peace of mind and confidence to get back into the action as soon as possible… whether that’s playing a grand final or (hopefully) celebrating a win! To book an appointment about your corky, call 9364 4073 or book online. There is no injury site more ancient than the Achilles heel. But thanks to the most modern scientific research, we can now manage pain in the Achilles tendon more effectively than ever. Achilles tendinopathy generally presents as pain at the base of the calf or the top of the heel. It often comes on after a change in exercise intensity (for example when suddenly training for the City to Surf!). People suffering from Achilles issues tend to feel this as an aching discomfort and often have trouble first getting it moving in the morning. The problem quite commonly niggles away under the surface for a while and sometimes then turns into a spike in more severe pain. Internal: an imbalance in strength, flexibility or control of your ankle, knee, hip, lower back or problems in the way all of these areas move together. External: an issue with how much work the tendon has been asked to do. This can be either too much, too little, or especially too much after doing too little for too long! Tendons love to be used. How do we know this? When we study tendons and how they interact with the tissues around them, we discover that those tendons which regularly undergo some work get very nicely nourished by all the tissues around them. They are healthy, strong and adaptable. However, developing healthier tendons is a bit like learning ancient Greek to read about Achilles: it doesn't happen overnight. In fact, like learning a language, doing a little bit often is much better than trying to cram everything in all at once. Too much all at once and all you get is a headache. Here's a handy way to work out how quickly you can progress your tendon. Think back over each exercise session you've done over the last week. For each session, write down how hard it was on a scale of zero to ten. Then, record how long you exercised for. Multiply these two numbers together. Do this for each exercise session in the week and then add them together to get a total number. This number is what we call your 'acute workload' and it measures how hard you worked this week. Now go ahead and do the same to work out your average workload over the last three weeks. This is your 'chronic workload' and measures how hard you've usually been working. Now, here's where the maths comes in handy - divide your acute workload by your chronic workload. This number is your acute : chronic workload ratio. The 'golden zone' for this number is between 0.8 and 1.3 as you can see below. To put it simply, this means that if you're trying to work yourself harder and build your fitness, you're most likely doing right by your tendon if you only do about 30% more this week than you usually do on any given week. Too much maths? If you're worried that you're niggling away on an irritated Achilles or are trying to increase your exercise levels and are looking to prevent injury, pop in to see your physio who'll be able to take you through a thorough assessment of the relevant factors and help you devise a healthy way forward. Feel free to book online or call 9364 4073. World Cup Fever (Australian strain): n. an ailment in which a month of sleep deprivation causes the following symptoms: drowsiness, grumpiness, work absenteeism and fierce debates about the use of the term 'football'. You might not have known that sleep deprivation is related to another symptom: pain. And not just the emotional pain of watching the Socceroos bow out. There is a growing body of research that links the body's pain experience to quality of sleep. As this can be a vicious circle (pain can make it difficult to sleep and lack of sleep makes pain more noticeable), it is worthwhile considering strategies to assist your sleep if you struggle with ongoing pain. Experts regularly advise that sleep is improved when your body learns to associate bed with rest. Not with surfing the net, texting, studying, not even with watching the World Cup! So pick up your laptop and get onto the couch, don't watch screens in bed. Also, if you're trying to fall asleep and can't doze off, experts recommend trying to get up and do something relaxing (reading, listening to music etc.) for a short time before returning to bed. This way, you don't lie in bed for hours on end getting more and more frustrated that you can't sleep, leading your body to associate your bed with frustration rather than with what it should be: relaxation. Sleep experts recommend sleeping at a regular time each night and waking at the same time in the morning. While this may seem impossible during the World Cup, perhaps the internet comes to our rescue. Try getting a good amount of sleep from a regular time and then waking in the morning to watch a replay of the match before anyone has told you the score. (This strategy may depend on how well Optus Sport's streaming is working). If you're looking for more help than these simple strategies, a trip to your GP or psychologist could help you to have a more detailed plan for getting your sleep under control. If you're not sure if sleep is related to your pain, or you're not sure if anything is related to your pain because it seems completely random or has a mind of its own, then feel free to give us a call on 9364 4073 and we'll work with you to help to identify things that you might not have known were associated with your pain. In the meantime, enjoy the football! Like many of you, on the 27th of May, I (Tallara) will be running the half marathon in the HBF run for a reason. 2) Ensure I’ll be able to make the distance on the day. The first thing I did was make a rough plan for my 14 week training period. I included one distance run, starting at 5kms, 2 speed runs, 2 recovery days and 1 alternative run per week. An alternative run would either be intervals, hills or a timed run. At the start of each week I’d plan out my runs based on my schedule for the week. I wasn’t too hard on myself if I missed a run. Balance is crucial! To ensure I would perform at my best I have included a 4 week tapering period prior to the event. I aimed to hit 18kms at the 4 week mark, then gradually reduced my distance. Being able to track your progress is a great motivator and can be a great tool to identify when/where something has gone wrong in your training. Whether that be with a running watch or phone app (Strava, NikeRunClub, etc). Before I began training I invested in a pair of running orthotics (as my feet roll in and I occasionally get ankle pain) and I checked the condition of my runners. Like all things, the more you use your runners, the more they will wear out. A worn out running shoe may increase risk injury. A good guideline to maintain the integrity of your shoe is to get a new pair every 800kms. Hopefully see you out there on the course! In the meantime, if you need any training advice, a pair of running orthotics, or help with achieving your best time, please don’t hesitate to give us a call on 9364 4073 or book online. This month at LifeCare Applecross, we're excited to welcome Tallara Clack to the team. Tallara graduated from Curtin University with a BSc in physiotherapy. She enjoys treating a wide range of musculoskeletal conditions, with special interest in treating neck and back pain. Tallara also has experience working with sporting teams, previously being involved with Melville City Football club and has a keen interest in gymnastics and netball. Tallara utilises an evidenced-based approach with the goal of empowering patients and getting them back to their best. She uses a combination of manual therapy techniques including manipulation, dry needling and massage along with exercise based rehabilitation and Pilates. Winter is just around the corner...and with that comes the start of winter sports, whether that be soccer, netball, rugby or football. After a long period of time off, athletes are particularly susceptible to injury in this stage. So what can you do to reduce this risk? My top 3 tips on preventing injuries this winter season include: warming up, load management and listening to your body. After all, prevention is ALWAYS better than the cure. The warm up prepares the body for exercise, which is especially important in colder temperatures. Most people do some form of a warm up. But what constitutes an effective warm up? A warm up should involve cardiovascular, strengthening, balance and plyometric exercise, along with dynamic stretches and high intensity sports-specific drills. There has been much controversy recently surrounding stretching. Evidence suggests that for some sports static stretching immediately prior to performing can in fact be detrimental to performance, reducing muscle power, speed, reaction time and endurance. Dynamic stretching prior to play on the other hand has shown to have a positive effect on injury prevention. Managing your sporting load is critical in preventing injury. A periodised training program is a great way to ensure that your training load is managed appropriately. Balance between load and recovery is key. For example, tendons love load. It stimulates cell activity within the tendons which makes them stronger. However when tendons are loaded too much, too fast they can undergo stress and strain. Balance between these two processes is essential. This can be maintained by allowing the tendons to recover, giving them time to adapt. This usually takes about 48 hours as tendon cell activity is relatively slow. Finding balance isn’t always easy. Listening to your body can be a good point of reference. When there is an imbalance within the tissues, they reach a critical point where you may start to experience pain or decrease in performance. This is a good time to back off and give the tissues a chance to recover. If you need assistance implementing strategies to prevent injury this winter season please don’t hesitate to give us a call on 9364 4073 or book online. We all know the feeling... toppling over on the ankle and then slowly feeling your shoe tighten. What's going on? Where's all that swelling coming from? Why does your body decide to swell when it feels so nasty? Swelling is an important part of your body's response to injury. When your nerves detect some distress in an area (say, damage to your ankle ligament), one of the strategies it uses to protect you is to tell the body to send its healing cells to the area, along with a soup of molecules. The healing cells process the damaged tissues, deciding which parts need to be taken away and discarded and which parts are suitable for repair. This is great because without this process, your ligament would stay damaged and you'd never get back to what you need to do. So swelling is a pretty handy healing mechanism. You'd struggle without it. But at times, some aspects of swelling can be unhelpful. This is particularly the case if the body overdoes the swelling response and all the extra cells and molecules in the area cause the part to become unnecessarily stiff and sore. At other times, the body forgets to switch off the swelling response and inflammation hangs around for longer than is really required, making you sorer than you have to be. The best way to determine whether swelling is nice or nasty is to have a comprehensive assessment of your injury. Your physio is trained to do this and to give you the best advice on how to let swelling do its job without allowing the body part to get too stiff and stuck. Depending on your injury, this might involve rest, ice, compression, elevation, crutches, gentle exercises or a whole range of other techniques. Once you know how to work with the swelling, you can help it to do its job of repairing your tissues. That way you can get moving again... and get that shoe to fit around your ankle like it used to! Perth Stadium opens this weekend! From all accounts, the surface will be state of the art. The turf was grown at Serpentine, mixed with 10% artificial grass for durability, cut 40mm thick and laid out under the sun (as well as under five 'grow lights' which will become more important in winter). Safe to say the surface will be the best in the state for elite sport. If you want to push beyond your normal routine, mixing up your walk or run with a bit more resistance can help. This might involve knee deep water at the beach, hills, or following your friend who's that little bit fitter than you on their route! Running or walking on sand will challenge your strength as well as the small muscles which detect changes in your surface and contribute to your balance. When first getting back into exercise after a stint on the sidelines with injury, it's always best to start with a surface that gives your body the most assistance. In the very early stage, depending on your injury, doing some walking or jogging in the pool might help to support your joints by decreasing the body weight going through them on each step. Moving up onto a flat, supportive surface like even grass or a treadmill generally is a good next step before pounding the hard pavement or challenging yourself on the more difficult surfaces like sand or hills. When training for peak performance, it's wise to be working yourself on a surface as similar to your playing surface as possible. If you're a footy player, this will mean grass. As a basketball player, you want to get used to changing directions and landing on the surface you'll be competing on. If you're a beach volleyball player... you get the picture. If you're worried that the surface you're training on is too easy, too difficult or contributing to an injury, your physio can assess you and then help you create a balanced program of exercise that will both challenge and protect you. And if you have ambitions to play at Perth Stadium, we'd love to help you get there! To make an appointment, call us on 9364 4073 or book online. How well do you know your neck? There are seven bones in your neck. Each has its own role. Think of them like the parts of a movable, adaptable jigsaw. Some bones are so specialised that they get their own names. The bone closest to the skull is called the atlas (in Greek mythology, Atlas is the god who is commonly depicted as holding up the globe), the bone beneath it is called the axis, and then the names start getting a little less creative: C3, C4... C7. This is one of the bones in your neck. The large triangular hole is there for a reason: it's a strong canal for your spinal cord to run through. The smaller holes on either side protect the arteries that transport the blood to the brain. The dozens of muscles around the neck get their cues from the brain via small nerves which run to the muscles and instruct them on when to tense up (all the time if you're stressed!) and when to relax (almost all the time if you're asleep). There's also a strong and complex network of ligaments and discs joining the bones of the neck into a sturdy, unified whole. So the jigsaw of the neck is not just the way the bones sit together, but the way the muscles, bones, nerves, discs, ligaments and blood flow all support each other to keep you thinking, moving and active. Think that's pretty amazing? So do we. Want to know more about your neck? Your physio's happy to tell you more. We're excited to welcome the newest member of our physiotherapy team to LifeCare Applecross! Jacinta has 20 years of experience in the physiotherapy profession, graduating from Curtin University in 1997. She initially worked at Mercy Hospital, gaining valuable experience in orthopaedic surgical conditions and post-natal care. Since then Jacinta has predominantly worked in private practice, treating a wide range of musculoskeletal conditions. She has a particular interest in sporting injuries, and has worked as a team physiotherapist for East Fremantle Football Club, and the Perth Orioles Netball team. More recently, Jacinta has developed an interest in the management of pregnancy and post-natal conditions, including back and pelvic pain. Jacinta is a qualified Clinical Pilates instructor, and strongly believes in the value of activity and exercise for maintaining health and fitness throughout all life stages, and assisting clients to achieve their optimal wellbeing. Jacinta is a keen (albeit slow!) recreational runner, and recently completed her first marathon. She also enjoys travelling overseas, and camping with her family. The whole LifeCare Applecross community is glad to have Jacinta's expertise at the practice. To make an appointment with Jacinta, call us on 9364 4073. When undertaking any new strenuous exercise (eg. hiking the Great Wall of China through the Beijing heat) do choose a good group of friends who'll encourage you all the way and give you the moral support that you need. Don't go it alone! There's some speculation that Ivan (1530-1584) was so Terrible, partly because he used mercury to ease his back pain. This quite literally went to his head. Don't use strategies to ease your pain which cause more problems than they solve. Do use healthy strategies like exercise, pacing and sleeping well. When thinking about healthy ways to ease the aches and pains, there's nothing like a bit of warmth in your lungs and birch-branch whipping to relax down the muscles and get the blood flowing (at the very least the birch-branch whipping will distract you from your pain!). Do stay hydrated. When jumping into cold water after a sauna, don't go head first, the rapid cooling of your head could have nasty results. If there's one place in the world that's as water-loving (and as expensive) as Perth, it's Switzerland. There are many picturesque cities on the convergence of lake and river. In Lucerne, when the river's flowing well, it's not uncommon for people to swim home from work. Do: water-proof-bag your laptop. Don't: let your imagination stop you from finding creative ways to get active. Above all, whether staying at home or hitting the road over the holiday season, keep active, stay relaxed and don't let pain get in your way. Let us know if we can help! At this time of year, the clear, crisp waters of Cottesloe, Coogee and Dunsborough are at their most inviting. Most of us love to get down there as much as we can during the summer, many use the beaches as a great place to exercise. Some of the crazier ones are even planning to swim to Rottnest in February! But for a small portion of swimmers, a sore shoulder is the thing standing in the way of their enjoyment of WA's best water. Swimmer's Shoulder is generally a problem of repetition. It makes sense then that the simplest way to avoid this is with variety. Mix some backstroke or sidestroke in with your swimming routine to give a breather to the parts of the shoulder which are worked in freestyle. Make sure your breathing technique is one in which you rotate to both sides of your body so that one shoulder isn't working harder than the other to consistently lift your neck out of the water. Ensuring there's healthy variety to your swim is a good first step. But this isn't always possible (those training for a competition) and sometimes variety doesn't take you all the way to pain-free swimming, or perhaps not as soon as you'd like. If this is the case, a thorough swimming-oriented physio assessment can help to identify the underlying causes of the pain and then address them. Your physio will assess the shoulder joint, muscles, tendons and any signs of inflammation. They'll even look further afield to understand if any issues with the neck or the nerves are contributing. A quick check early after the onset of pain can often help to prevent a more difficult problem from developing and get you started on an individualised program of recovery. If you're hoping to make the most of the West Aussie summer and are worried that your shoulder is going to stand in your way, we're happy to help by chatting about the variety in your program or assessing your shoulder for underlying issues. Call us on 9364 4073 or drop in to 8 Riseley Street for an appointment. Need the perfect gift for your Mother? Maybe your Mother-in-Law? Grandmother? There's a remedial massage to suit everyone here at LifeCare Applecross Physiotherapy. Our two friendly and experienced massage therapists, Rudu and Nicole, recognise the value of personal preferences for a well rounded, effective and memorable massage experience. Remedial Massage has a very broad scope. In fact, it's really an umbrella term which covers many different modalities. On one end of the spectrum, there are the deeper mechanical approaches such as Myofascial Release Technique, Deep Tissue Massage and Trigger Point Therapy. At the other end of the spectrum your therapist might incorporate some of the light and relaxing modalities such as Manual Lymphatic Drainage, Swedish Massage, Trager and even energy based modalities like Healing Touch, Pranic Healing and Reiki. Your consultation is the perfect opportunity for you and your therapist to determine which of these approaches will best suit your treatment plan. Many clients ask for a fusion of these deeper and lighter approaches. Some clients prefer to be in conversation with their therapist while others would rather be quiet and zone out during their session. Feel free to clarify this with your therapist if you feel the need as well! One of the advantages of investing in a professional remedial massage is that your session will be initiated by a thorough consultation when your therapist will listen, communicate and reflect on the appropriate course of treatment. Careful consultation will maximise your treatment time and allow your therapist to zone in and tackle the relevant areas right off the bat. Another advantage of Remedial Massage at Lifecare Applecross Physiotherapy is the fact that our massage therapists work in close collaboration with the other health care professionals on our team. It can be very reassuring to know that your therapist is kept ‘in the loop’ with assessments, findings and diagnoses made by their colleagues. Your session will also be adequately documented so that there is a reference of your treatment, allowing for the fine-tuning of your treatment goals. Hopefully we shed some light on the subject, feel free to give us a call on 9364 4073 if you have any other queries. You can purchase individual massage vouchers or packs from our reception. Our two excellent therapists, Rudu, our male therapist and Nicole, our female therapist, both love what they do and look forward to showing you the value and efficacy of this wonderful therapy that works! Just ask any of their regulars! As physios, we're passionate about keeping people active. By treating injuries and preparing people to prevent them, we like to think we do our bit to keep our community fit and healthy. But we also realise we're not the only ones in this game... Parents, coaches, friends and volunteers are all just as important as physios. It's long been a trend in Australia that young people drop out of sport as they transition from childhood to adolescence and into adulthood. In truth, injuries are only one of the reasons why kids stop playing sport (there are many other significant barriers to participation such as lack of enjoyment, cost and time commitments). 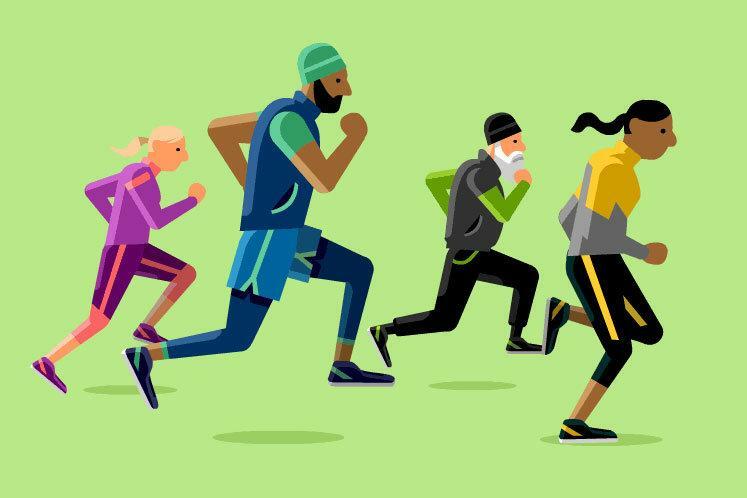 Looking at the picture of Australian health in this way, we recognise that it's the whole community that has a role in helping kids keep up the habit of exercise. One of the most easily addressed aspects of sport participation for young people is the enjoyment factor. For lots of kids, sport is a great way to enjoy time with friends, express themselves creatively and challenge themselves a little in the process. Junior sport is about fun, encouragement, inclusiveness and team work. By focusing on these aspects of junior sport, we all encourage kids to make healthy activities into future habits. Recently, there have been some helpful reminders of this in the media. As we transition into a new season of winter sport for 2017, let's make sure we're all doing our bit to prepare our youngsters for active lives by thinking creatively about how to make sport fun, and in doing so, the most important results - a healthier community - will take care of themselves. If your child is finding it difficult to do the activities they enjoy because of injury or if you need some help brainstorming ideas for making exercise beneficial and fun, call us on 9364 4073 or pop in for an appointment. A physio blog in January.... Oh no. You're probably expecting to be told to forget about all the good food that you had over Christmas and cast your mind bravely ahead to the exercise that you plan to do this year. In fact, the opposite is true. Think back to the best meal you had at Christmas. It might have been the turkey which went so well with the cranberry sauce or the cherries which were the deepest, richest red you've ever seen. It could have been the pudding that came just after you'd had enough time to digest the main meal or even the leftovers on Boxing Day that tasted so much better once all the fuss was over and you could finally put your feet up on the couch to watch the cricket. In thinking back to your best meal, it's likely that your most intense memory doesn't just involve your memory of its taste alone, but also of the smells, the setting, the people you were with, the time of day, the drink in your hand. And that's not surprising given the fact that it's well known that all the sights, sounds and smells associated with food are part of the experience of eating. In fact they can make all the difference as to what type of flavour the food produces. What does that possibly have to do with physio? The truth is, the same is true of pain. Your experience of pain is one that draws on all kinds of sensations that the body takes in. This includes what's going on in the injured body part, what's going on in the rest of the body as well as what's going on in the world around you. Okay, but still, what does that have to do with physio? Your physio is able to help you to identify the different factors that may be contributing to your pain, including ones you might not have thought about much. Your physio is then able to help you to improve these factors. That's because your physio recognises that pain (like flavour) develops out of a variety of processes and so it will also be reduced by a variety of strategies and methods. This means that when you see a physio about your pain, you'll almost never just get one thing to solve the problem. You'll get multiple strategies which will all work together to help you to heal and to minimise your pain. So next time you eat a brilliant meal, think about all the things that are making it such an intensely enjoyable moment. And next time you're in pain, think about all the factors which are making it such an intensely painful moment. If you need help with reversing this pain or want to understand why it hurts so much, just give us a call on 9364 4073 and we'll be more than happy to help.